You're clearly interested in cloud architecture. We're here to help. Each month, we'll supply you with a selection of the best content around cloud architecture from AWS, with a few pointers to other content you might also enjoy. From building a simple website to crafting an AI-based chat bot, technology choices and the best practices in how to apply them are constantly evolving. Our goal is to supply you with a broad selection of the best new tech content from AWS—from deep-dive tutorials to industry-trend articles. If you like what we share, please let us know. Whether you give us a star rating, detailed review, or you have a question, your feedback will help keep improving the content we include in future subscriptions. 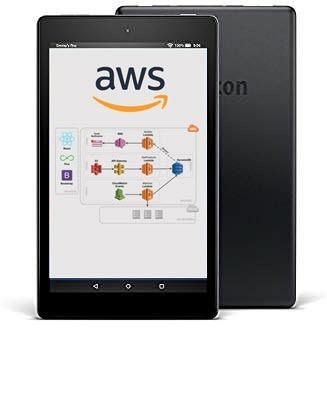 AWS Architecture Monthly is delivered for FREE to your Kindle device automatically every month in four markets: France, Germany, the United Kingdom, and the United States. This is a FREE annual subscription (your card will never be charged). Kindle Newsstand subscriptions are currently available in France, Germany, the United Kingdom, and the United States. Kindle Newsstand subscriptions are not available for some devices, including the Kindle for PC. For a complete list of supported devices, click Subscribe Now and then click the link in Available immediately on these devices and platforms.